Equal parts challenge and opportunity — that’s how Air Force Vice Chief of Staff Gen. David L. Goldfein described as the current state of the Air Force March 10 during a Defense Programs Conference in Washington, D.C. Most of America, he said, still remembers the Air Force of Operation Desert Storm. It was a time when there were 134 fighter squadrons across the total force from which the Air Force deployed 33 squadrons to execute operations Desert Shield and Desert Storm. Now there are only 55 fighter squadrons, he added. The Air Force has nearly 240,000 less total force Airmen than during those operations. “Beep. Beep. Beep,” the alarm blares. Time to get up. Do you hit snooze? On average, we spend 33 percent of our lives asleep. When assessing your overall health, have you considered your sleep habits? Sleep hygiene, as researchers call it, involves a variety of different behavioral practices which are necessary for quality sleep and full alertness during waking hours. Sleep allows our bodies to rest and refuel for the next day. The sleep process is complex and active. As we sleep, there is important internal restoration and recuperation taking place. Goldfein visited the two Numbered Air Forces for a firsthand look at the advances they’ve accomplished together in building multi-domain synergy between Air Force intelligence, surveillance and reconnaissance, and cyber forces. A day full of intense briefings demonstrated that synergy to the general, who commented that his visit was very timely. He explained that we first used nuclear deterrence as an offset strategy to protect our national security during the Cold War with the Soviet Union. The second offset strategy was stealth and precision, capably demonstrated during the first Gulf War. During his visit to the 25th Air Force, Goldfein took time to “coin” three outstanding Airmen: Capt. Andrew, a flight commander assigned to the 70th ISR Wing; Staff Sgt. 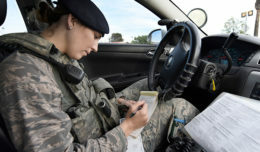 Elizabeth, a unit deployment manager assigned to the 363rd ISR WG; and Staff Sgt. Salvatore Guerriero, an executive communications technician, assigned to headquarters 25th Air Force. The Air Force continues to make strides toward total force integration, according to an annual report submitted to Congress March 4. The report is based on recommendations from the National Commission on the Structure of the Air Force and focuses on how the force structure should be modified to best fill current and future mission requirements, an area Air Force senior leaders have been vocal about, expressing their desires to continue to expand total force integration. 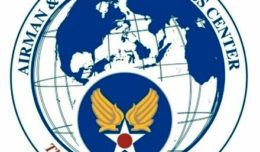 The service recently completed an intensive analysis of all Air Force primary mission areas. The analysis provided active and air reserve component force-mix options and reliable data to inform future acquisition decisions. As a result, more than a dozen force-mixing recommendations were carried into the fiscal year 2018 strategic planning process.